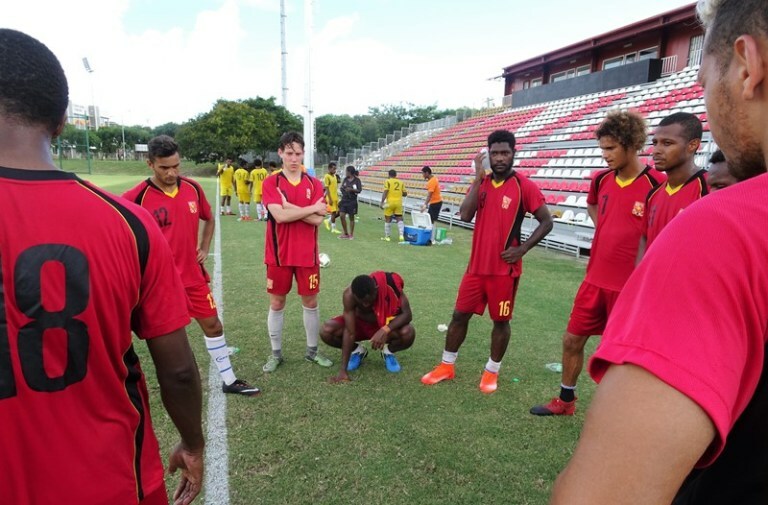 The Papua New Guinea Kapuls have been boosted with the arrival of Holland based David Browne into the training camp as the countdown continues to the FIFA World Cup 2018 qualifying home game against Tahiti in Port Moresby this Thursday at the Sir John Guise Stadium. The team has been in training for the last 3 weeks and also happy to welcome back their prolific striker Raymond Gunemba also based in New Zealand, midfielder Simon Emmanuel and goalkeeper, Ronald Warisan, the three just completed the Oceania Football Confederation Champions league representing Lae City Dwellers in New Zealand. David Browne arrived into the country last week and has fitted into camp adding speed and power to support Gunemba, Malaysian based professional Nigel Dabinyaba and Australian based George Slefandorfas. Mr Gonjuan said the tickets are now on sale at the Eurosports shop at Vision City at K50 Grand stand, K30 Opposite Stand and Behind Goal stands going at K10 and for Corporate Houses, VIP Boxes are also available. Tahiti arrives into Port Moresby today and after the Thursday’s match both teams will fly off to Tahiti on Friday for the return match in Papeete on the 28th March. The Thursday’s game is scheduled to start at 4 pm.